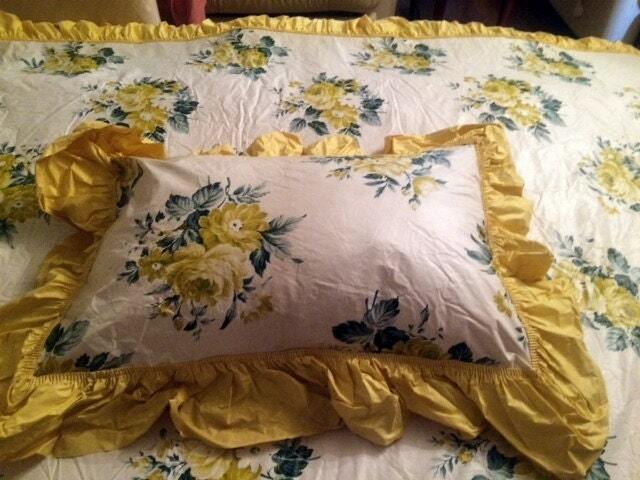 I have had this full size plastic bedspread and pillow sham stored away for 20 years when I came across it from a totally 1950's home. It is in perfect condition, no stains or tears, In the third photo it looks like the yellow skirt is discolored but that is just my flash. I doubt it was ever used. 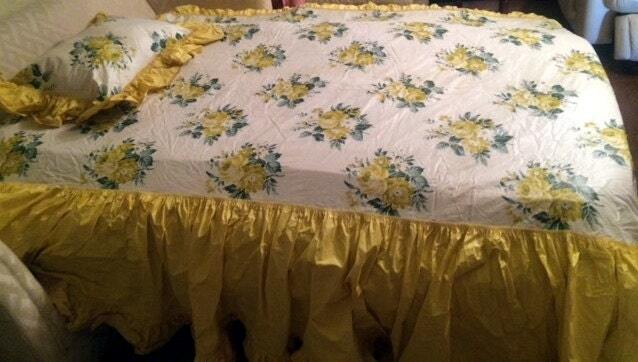 It is a bit wrinkled from years of storage but that is easy to remedy. 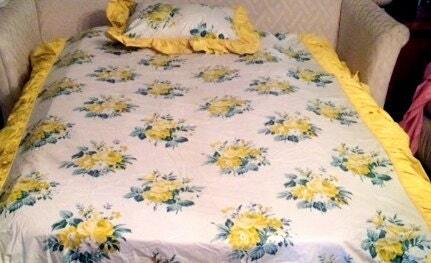 I put it on my queen size mattress to photograph. 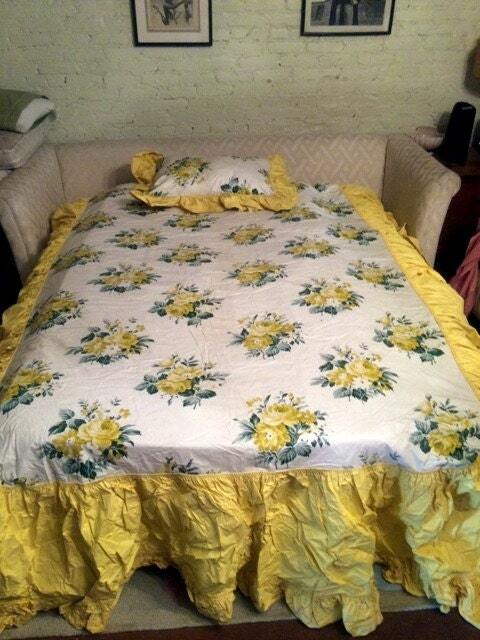 The bedspread is all one piece, the yellow floral part measures 53" wide and 83" long, the yellow skirt is 23". It looks like something from the Little Shop of Horrors movie 1950's dream sequence!